Enlisting in the Army as an Apprentice musician in 1978, Gordon went on to enjoy a long and distinguished career in Military Bands, initially as an instrumentalist and later as an Officer Commanding / Music Director. After an initial 12 year period as a soldier musician with postings to Canberra, Adelaide, and Melbourne Gordon attended the Band Officer Course at the Defence Force School of Music studying under some of our Corps’ great mentors, including the late Robert Rosen. Graduating in June 1991, and in receipt of the Percy Grainger award for Best All-Round Student Band Officer, Gordon commenced his career in Defence as a Music Director filling positions in Adelaide, Sydney, and Melbourne. It was while posted as OC Melbourne Band that Gordon was also ‘double hatted’ as pseudo OC DFSM, a position that was not able to be filled at the time. He was later appointed as the Corps’ Operations Officer, Commanding Officer of the Defence Force School of Music, and then culminating in 2012 with his appointment as the Director of Music – Army, later to become the inaugural Commanding Officer of the Australian Army Band. 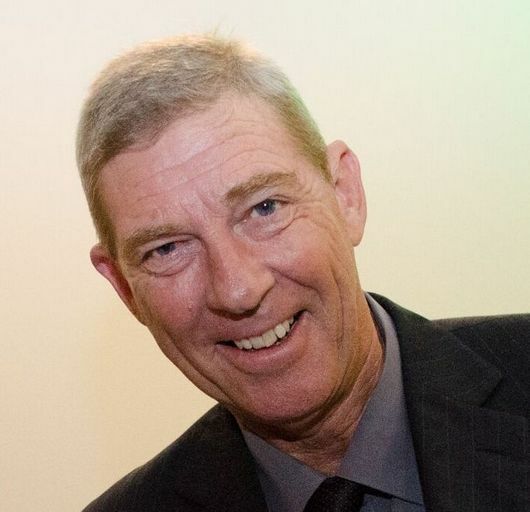 For his services to Defence Music Gordon has received a Service Commendation, and has been recognised twice in the Queen’s Birthday Honours, most recently being awarded the Order of Australia Medal in 2014. Gordon left full time service with Defence on completion of his appointment as Commanding Officer of the Australian Army Band after 38 years’ service and relocated back to Melbourne. He maintains his links into Defence in a Reserve capacity working for the Office of the Vice Chief of the Defence Force on various projects as they arise including Defence’s support to the Centenary of Anzac program, the 2016 Royal Edinburgh Military Tattoo in Melbourne, and most recently the 2018 Australian Invictus Games in Sydney, and during 2016 -17 delivered training in foundation conducting studies to the Band Officer Course at the Defence Force School of Music. Time permitting, Gordon still enjoys playing trumpet - a passion that has never waned. Having performed with the great Ray Charles, the Glenn Miller Orchestra, Julie Anthony, Rhonda Burchmore, Gene Pitney, and many more, performance has, and will always continue to be his second love – Carolin being his first. Gordon accepted the appointment as President of the Australian Army Band Corps Association in October 2017. In July 1959 Kevin enlisted in the Australian Army as an Apprentice Musician and began two years training at the Army School of Music at Balcombe, Victoria. After graduation his first posting was to the Royal Australian Engineers Band at Kapooka NSW. Further postings followed in 1969 to the Royal Australian Infantry Corps Band in Townsville later retitled Townsville Area Band and North Queensland Army Band, the Royal Australian Armoured Corps Band at Puckapunyal in 1972 on promotion to Sergeant, where in his second year in the band he was selected to attend the Bandmaster's Course at the Army School of Music. 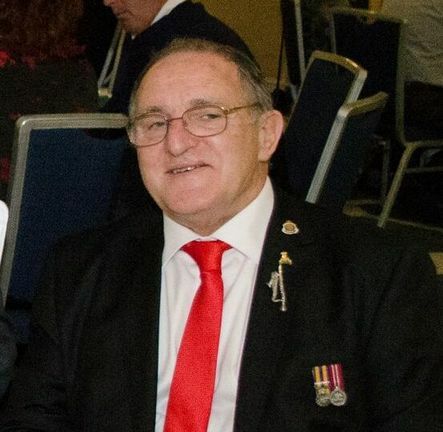 Following the course he was posted to the 3rd Military District Band in Melbourne in 1974, where in the following year he served as a Senior Cadet Instructor with the 3rd Cadet Brigade in 1975. Subsequent postings followed to the 1st Recruit Training Battalion Band at Kapooka, the 6th Military District Band Tasmania and the 2nd Military Band in Sydney. in 1979. In 1984 Kevin was then appointed as the Regimental Sergeant Major (RSM) of the new Defence Force School of Music situated at Watsonia, Victoria. In 1987 he was posted to the Royal Military College Band at Duntroon in Canberra as the Band Sergeant Major and in 1992 he received an out of Corps posting to Personnel Division (Pers Div) at Russell Offices Canberra as the Regimental Sergeant Major (RSM) Ceremonial. During his tenure at Pers Div in 1993 Kevin was awarded the Conspicuous Service Medal (CSM) in the Queen’s Birthday Honours List and received the Adjutant General’s Award in the same year. A posting followed in 1995 back to the Australian Army Band Sydney until his final posting in 1997 as the Ceremonial and Protocol Officer at the Royal Military College Headquarters for the last three years of his service. 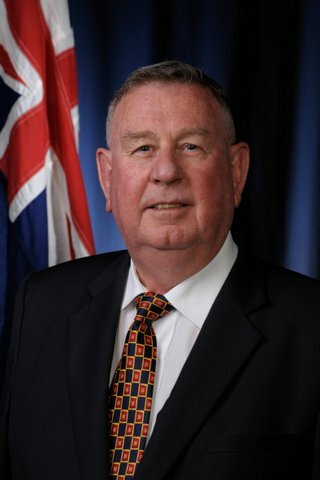 Kevin reached compulsory retirement age in 1998, but was given extensions until his discharge in January 2000 having served continually for over forty years in the Australian Army. He has five clasps to the Defence Force Service Medal. In early January 2000 he was approached by the Brumbies Rugby franchise to work as their Game Day Operations Manager, Membership and Merchandise Manager. Kevin left the Brumbies after almost ten years and worked part time with the Defence Force Welfare Association’s National Office in Canberra, after which he gained employment with Media Monitors as a Conference Reporter in the Press Gallery at Parliament House for over two years. Kevin has now fully retired and filling his time playing golf. Kevin’s interest in the sport of Rugby League led him to become a referee in the early 60’s until the mid eighties. He has been a staunch member of the St.George Dragons since the early fifties. Kevin became President of the Australian Army Band Corps (AABC) Association in 1992 until 1997 and was awarded Life Membership. At present he is the Honorary Secretary of the Association taking up this position in early 2009. Kevin is also a member of Australian Army Apprentice Association (AAAA) and in November 2016 he was elected as their Welfare Officer. Kevin is married to Alex Noon who also served in the Australian Army as a musician. Kevin has four children from his first marriage. Dave Oakley was born in Peterborough South Australia and enlisted in the Australian Army in June 1972. After Basic Training and Corps Training at Balcombe, Victoria Dave was posted to Southern Command Band in October 1972. In 1974 Dave was posted to North Queensland Army Band (NQAB) in Townsville where he was one of the first woodwind players posted to that unit. During that posting Dave was promoted to Corporal and travelled with the band all over Queensland and Thursday Island. In June 1982 Dave was posted to 4th Military District Band in Adelaide. Dave was promoted to Sergeant in 1983 and Staff Sergeant QMS in 1986. During the Adelaide posting Dave travelled to the UK, Greece, Crete and New Guinea. In 1993 Dave retired and joined the Australian Army Band Adelaide (AABA) as a Reservist until 2000. In 1996 Dave was awarded the Australia Day Medallion for outstanding contribution to the AAB Adelaide. Since retiring from the ADF Dave has worked as a Sheriff’s Officer and in various ICT roles travelling all around Australia and East Timor. At present Dave works in PC Support for the South Australian State Government. Jim Harper enlisted as a Bandboy in 1953. Posted to Southern Command Band in 1955 and was fortunate to be a part of the massed bands that performed at the 1956 Olympics in held in Melbourne. Jim and wife Ena were married in 1959 and posted to 3 RAR Band in Malaya. 1 RAR Band arrived in Malaya in Oct 1959 and Jim served with the Battalion Band for their full tour of duty and returned to Australia late 1961. A tour of Vietnam followed with 1 RAR being the first Battalion to be sent to South Vietnam (1965). On completion of the tour Jim was posted to the Royal Australian Armoured Corps Band at Puckapunyal. He was promoted to Sergeant in 1968 and posted to Townsville then Singapore and back to Townsville before being posted as the AABC representative to 32 Supply Battalion, Broadmeadows in 1974. His next posting was to 3MD Band in 1976 as the Quartermaster Sergeant. Jim was awarded the British Empire Medal in 1979. On discharge in December 1980 Jim joined the Victoria Police Band and remained with them until he retired in 1996. Also in 1980 he was appointed as the Bandmaster of the 3rd Division RAA Band serving over eleven years with them until May 1992. Jim and late wife Ena have three children, seven grandchildren and one great grandchild. Unfortunately Ena sadly passed away last year and Jim still resides in Seaford Victoria and Jim says he is still enjoying playing with the Frankston Band. Jim served as the Association Treasurer for many years and last year passed the baton over and is now the Assistant Treasurer.